Eco-labels are an excellent way to enhance credibility for green marketing claims, but they are not without risk. While 28% of consumers look to green certification seals or labels to confirm that a product adheres to claims, these labels can also confuse. Happily there’s enough method within the madness for marketers to pave a way forward. 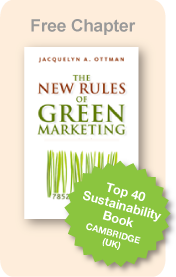 The mainstreaming of green brings with it the need to segment audiences. As marketing efforts behind the Toyota Prius demonstrate, targeting messages to specific consumer groups can broaden appeal. In many cities bicyclists battle it out with taxis for a share of the road. But all Parisians seem to agree that bicycles are a convenient, cheap, trendy, and emission-free way for locals and tourists to get around town. 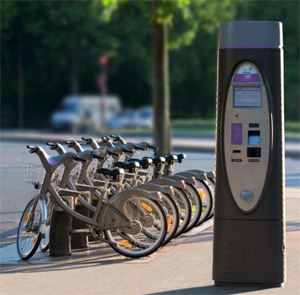 Representing the biking equivalent of car sharing, in 2007 the city of Paris launched Vélib, a pay-as-you-go bicycle rental program. Once considered a short-term promotional tactic, cause marketing is now a mature, long-term strategic business practice that can enhance brand image and boos t sales. Most importantly, cause-related products give businesses an impact that goes far beyond mere tax-deductible checks (philanthropy). Good green marketing is all about making an investment in the future of the planet by promoting sustainability and protecting the environment. So it is only natural that successful green marketing campaigns can and should involve children, offering an opportunity for building life-long brand loyalty. Ask businesses why they don’t tout green achievements more often, and their answer will likely be fear of greenwash. Before you let such fears deter you from making investments in sustainable technology or promoting your green achievements, consider how difficult it is for any advertiser to gain consumer trust. Everyone lauds eco-labels being put forth by such sustainability leaders as Timberland, HP and Levi’s for transparency and commitment, but are they really all that useful to consumers? Likely not. These labels may be informative and project credibility, but I believe their usefulness can—and must—be taken up a notch. In the midst of a national energy crisis in 1978, U.S. president Jimmy Carter took to the airwaves in a cardigan sweater encouraging Americans to conserve energy by turning the thermostat to 68º F. His campaign failed because of its link to deprivation, and because it represented a threat to the upward mobility and prosperity that is America. Tom’s of Maine can make the toothpaste more natural, but they can’t force consumers to turn the water off when they brush. Coke can make the bottles recyclable, but only consumers can drop them in the blue bin. Sun Chips can make the bags compostable, but only consumers can see that they get to a composting pile instead of a trash can. While researchers are looking to the sun, the wind and even ocean tides to source renewable energy, some have found an answer much closer to home: the gym. This notion dawned on the owner of a string of gyms in Hong Kong, who rigged cycling and cross-training machines to power a gym’s lights and store extra energy in batteries for later use. You hear a lot of talk about the “sin of the hidden trade-offs.” I’ve got news for you, folks. 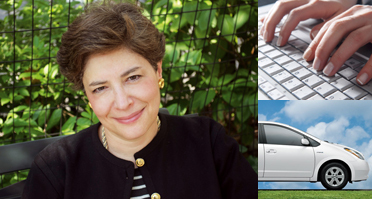 Greening—like life itself—is all about the trade-offs! No product is 100% “green.” So, considering that all products use energy and create waste, green is a relative term. One product is green-er for someone at some time in some place.